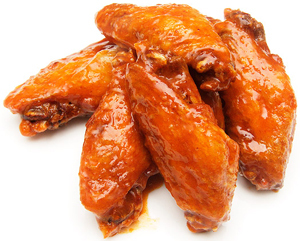 The Florida man, 51, was arrested last night for battering his wife with a bowl of chicken wings, police report. Cops were summoned to the Myakka City home Arthur shares with his wife Darlene. The couple, who have been married three years, had been fighting, Darlene’s daughter told a 911 operator. When Darlene “wouldn’t leave him alone,” Patrick “got mad and threw a bowl of chicken wings at her,” an investigator noted. While the wings “struck her in the upper body,” Darlene told cops that she did not want to press charges and have her spouse jailed. Despite that request, Patrick (seen at left) was arrested for misdemeanor battery and booked into the county lockup, where bond has yet to be set. 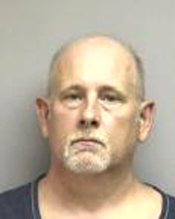 He is scheduled for an October 10 court appearance.